Ecuador’s Chocolate Secret Is a Sustainable Reality 3/5 | WHY DO WE LOVE CHOCOLATE? 100% farmer-owned, single- source chocolate produced by a coalition of 850 Kichwa families in the Napo region of the Ecuadorian Amazon. A delicate flavor with an extended finish and hints of fruit. Find out why planting several varietals of cocoa make the groves more sustainable and contributes more depth in the flavor profile of the chocolate. Learn why screening cocoa beans helps improve the flavor of chocolate. 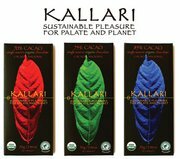 Kallari ( http://www.kallarichocolate.com : ) is the only farmers’ cooperative in the world that harvests, markets and profits from its own line of organic chocolate. 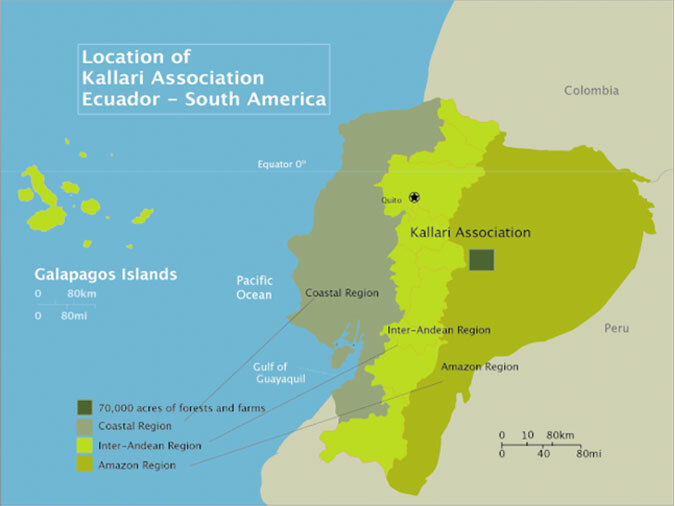 Kallari organic dark chocolate is produced by a coalition of 850 indigenous Kichwa families in the Ecuadorian Amazon. PS I never tasted there chocolate so I just have a imagination about it. Please feel free to send me some, thanks.